K2 Waybacks – The One Ski? It’s a question I ask many skiers. 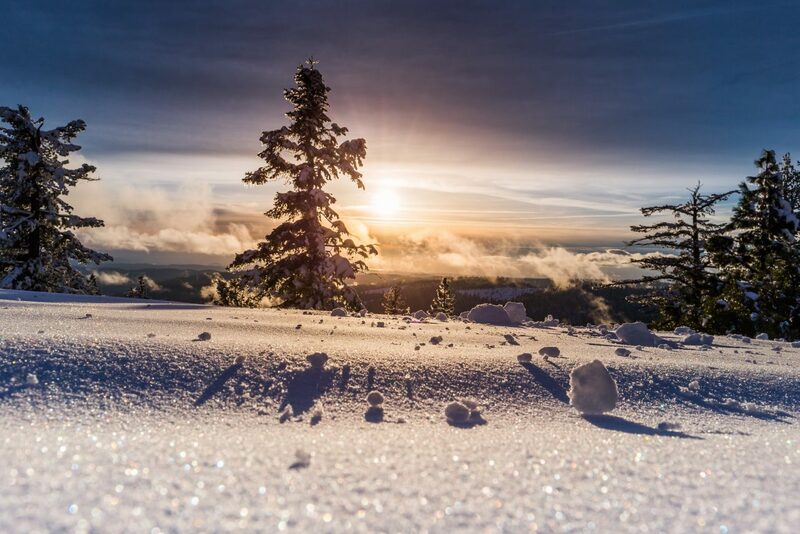 If you had to stick to just one ski for all conditions, all seasons, and all uses (downhill and backcountry), what would platform look like and what ski would you get? Technically that’s a few questions nested into one question, but you see what I’m getting at — what one ski could do it all for you? 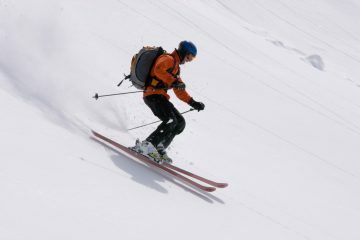 It’s not an easy question because most serious skiers want different skis for different sports (e.g., lift skiing vs. backcountry skiing). 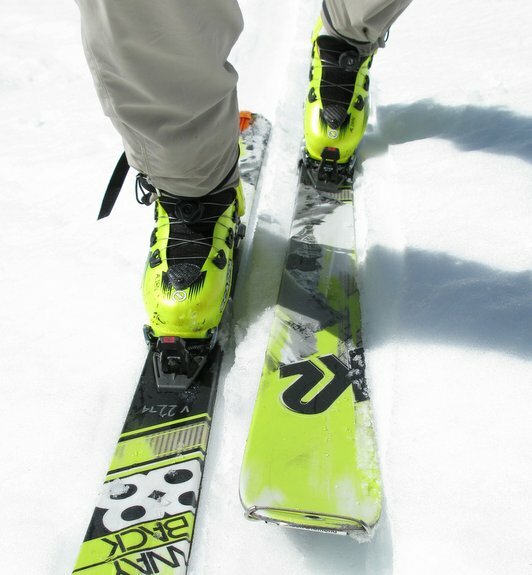 And they want different skis for different snowpacks (winter vs. spring). As a multiple ski owner myself, I had to deal with this very issue several years ago when wildfires were approaching my home and I was quickly packing the car with pictures, computers, legal papers, clothes, and outdoor gear I didn’t want to lose. I rather easily grabbed one pair of skis that would quite handily do it all for me. At that time my one ski was the K2 Shuksan. In the intervening years I’ve gone just a little fatter and my new one love (a concept my wife will detest) is the K2 Wayback 88 (124 mm tip, 88 mm waist, and 108 mm tail). 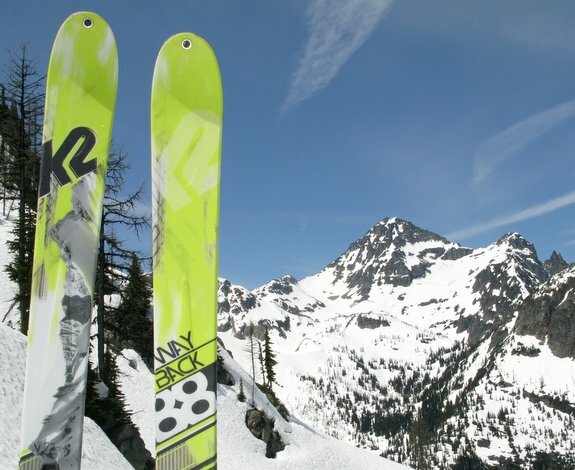 As an East Slope skier, the Wayback 88 ($650) gives me an excellent middling platform for skiing the thinner snow packs of Mission Ridge, Blewett Pass, Icicle Creek, and Entiat River environments. 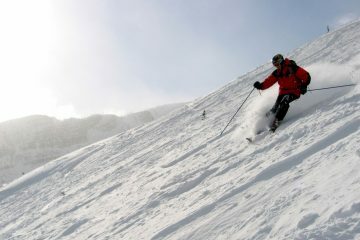 They give better edging on days when the snow is old and firm, yet carve through powder easily. And although their weight (weight 6 lb. 4 oz per pair) is not featherweight, it is still light enough for me to complete an 8,000-vertical-foot day — a huge day for me, even with very light gear. The Wayback 88 (far right) sits beside its fatter brother the Wayback 96. If that’s not fat enough, the K2 Coomback now comes in two widths as well — 104 mm under foot (center) or 114 mm under foot (far left). 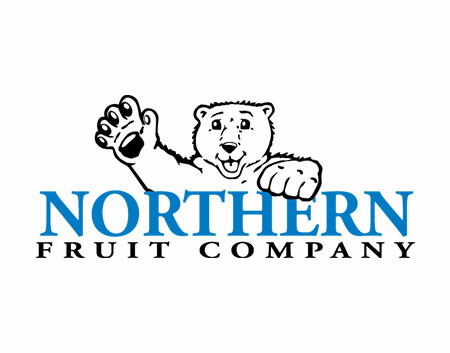 Crest. 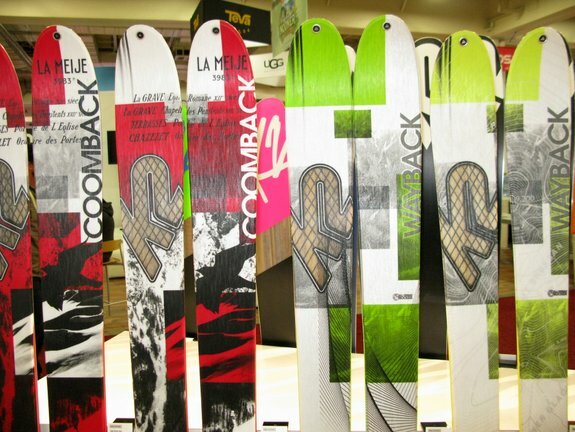 When I tested the Wayback 96 at Solitude, Utah against a half dozen other backcountry skis, I liked it … a lot. It delivered chatter-free performance on glazed cruising runs, had plenty of platform to cut smoothly through crud, and delivered a nice combination of grippy edging and easy sideslipping to noodle down big, firm bump runs. This post was originally published on 1/29/15.